Jack Umstatter, a master English teacher with more than 30 years' experience, is a multiple winner of the Teacher of the Year award. 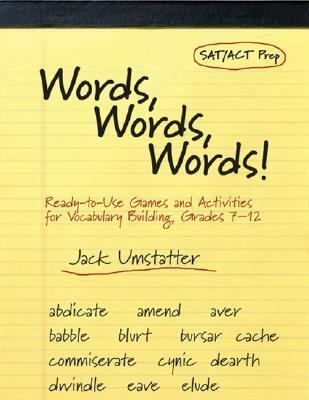 He currently teaches English and co-chairs the English department in the Cold Spring Harbor District in Long Island, New YorkUmstatter, Jack is the author of 'Words, Words, Words! Ready-To-Use Games and Activities for Vocabulary Building, Grades 7-12', published 2004 under ISBN 9780787971168 and ISBN 0787971162.